This guest room can accommodate up to 2 persons and 1 child. 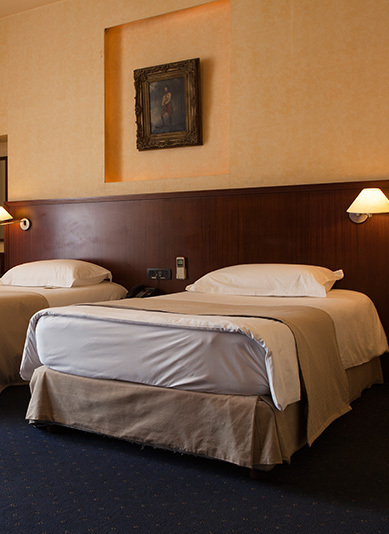 Our standard double rooms enjoy a bright, sunny aspect all day long. You will find this guest room comfortable with an urban and simple design. Our double rooms are designed to be as flexible as possible so they come in different formats, should you wish to have twin beds. All rooms are equipped with a bathtub and some of them with balcony. Each room is air-conditioned and has a flat-screen TV with international TV channels, cozy queen size bed and spacious wardrobe.